Will Edge grew up in the Weald of Kent before, like many classmates from Sevenoaks, starting a white-collar career living and working in London. Home brews were his hobby – featuring at his wedding – before becoming a dad triggered a return to the Kent countryside and a commitment to a more sustainable lifestyle. 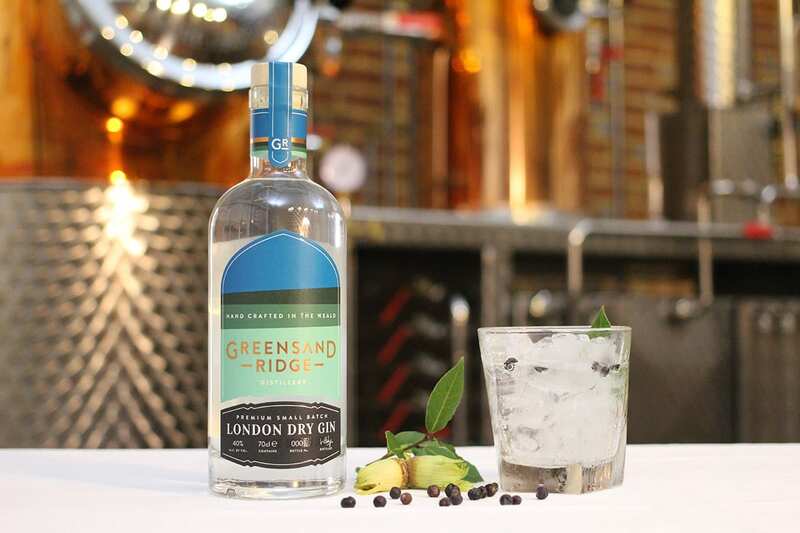 The Greensand Ridge distillery was born in 2015 and is already producing award-winning gin. 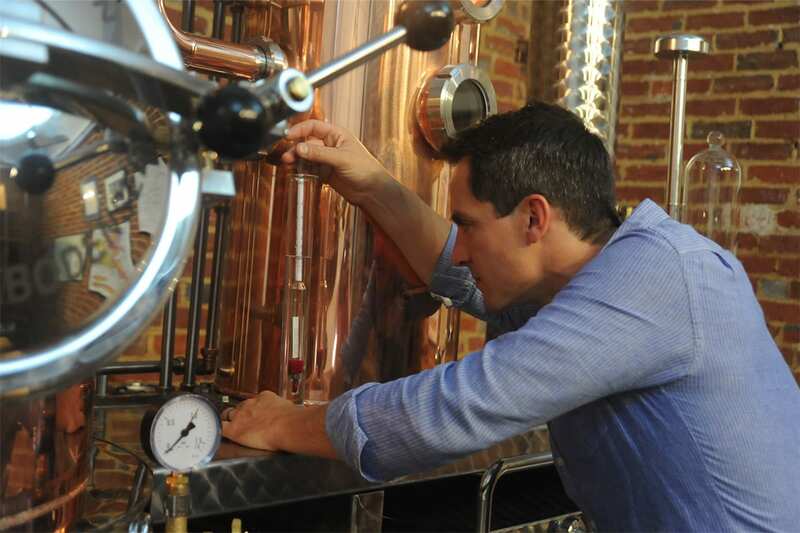 The Gin Guild talks to Will about his journey to eco-friendly craft gin production. 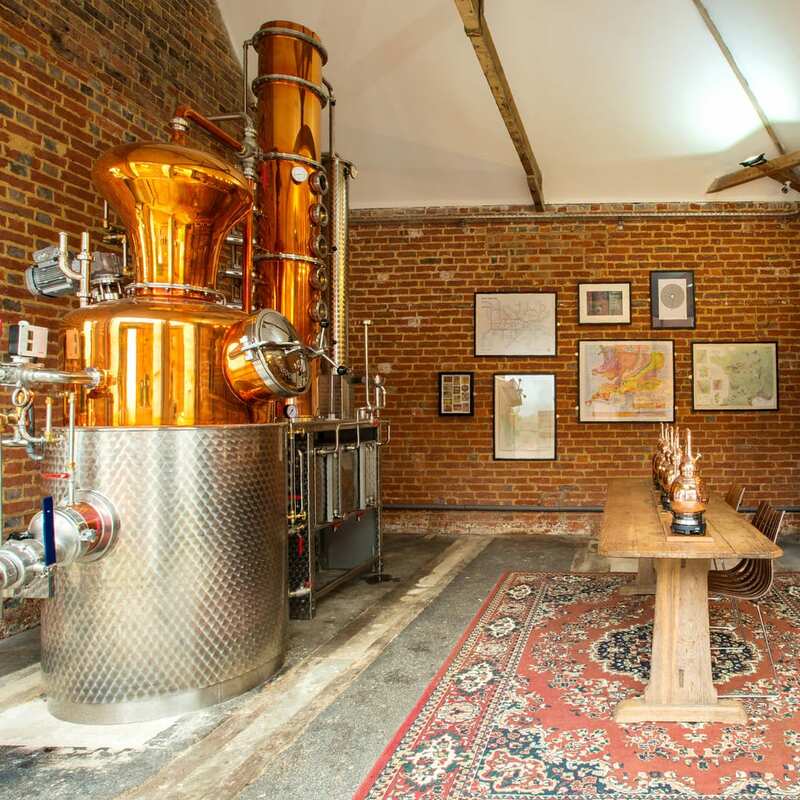 The Gin Guild: What inspired you to establish a craft distillery and how did you find the right location? Will Edge: I always said a desk job was a 10-year thing for me. I enjoyed those jobs but I always wanted to be on my feet making things. I got to that 10-year milestone and thought I had better make good on my promises. At that point I’d been making alcoholic drinks for about 15 years. First it was those awful lager kits you could buy in Boots, but that eventually led to full mash brews including my all-time favourite, Brett fermented Flemish red ales. I served my craft cider at my wedding in 2009 and, over the years, have had various infusions and macerations secreted about my home. The Masters in Brewing and Distilling at Heriot-Watt accelerated the move from passionate hobbyist to full-time career. The location is influenced both by the fruit farms we work with and the nearby childcare in the form of the grandparents! GG: You describe your gin as ‘a walk through the woods of the Weald of Kent’. What botanicals do you use and are all your ingredients locally sourced? Why is this important to you? Will Edge: Gin is a natural way to represent the lands around us, in a beautiful spirit. Anything with carbohydrate we can of course ferment and represent in its pure form. But many of the aromas around us are bound in oils or resins, for example. The incredible complexity of some of those aromas lend themselves perfectly to gin. The backbone of my gin is eight local botanicals – Bay Laurel, Poppy Seeds, Oak Moss, Cobnuts, Gorse Flowers, Hawthorn Berries, Rosehips and Honey. These can be found growing within a mile of the distillery, although I source the botanicals for distilling from suppliers to ensure consistency of flavour and because in some cases I’d be stripping the local environment of important parts of the ecosystem; better to source from where they are sustainably produced. The exception is gorse flowers where I haven’t found a suitably high-quality supplier and the flowers grow bountifully in the Weald’s Ashdown Forest. GG: What sparked your interest in sustainability? Will Edge: It’s simply a belief that any business should be run sustainability by default. I started out by just factoring that into all my decision-making. But as I’ve been promoting our spirits there has been so much interest in this approach that it’s become a recognised part of our brand. I want people to buy our spirits because they taste amazing and look beautiful, so it’s not immediately obvious from our bottles, but dig a bit deeper and it comes through strongly. It’s a differentiator for us now but, hopefully, in the near future, it won’t be. GG: Can you explain how you have reduced your carbon footprint in the traditionally energy-intensive process of distilling? Will Edge: We aim to be zero waste, zero plastic and zero chemicals, use only renewable energy and make spirits preferentially with surplus produce. Some of the things we do are innovative, like using the heads from distilling to sterilise lines and fermentation vessels. Others are things we think about that many would write off for marketing purposes, like only using non-bleached cardboard in our packing materials. Currently, our only significant waste is our label backing paper and we’re working on that, and our distribution chain is pretty carbon rich. GG: You have also spoken of your commitment to reducing food waste. How is this reflected in your products and processes? Will Edge: One of the key aspects of our sustainability drive is to work with farmers to use surplus produce, mitigating food waste. That mainly plays into our fruit brandies, eau-de-vie’s, and rums. Gin botanicals can be dried and stored and so a glut of produce is unlikely to go to waste. The issue of food waste is such a huge one, I’m never going to make much of a dent in it myself. 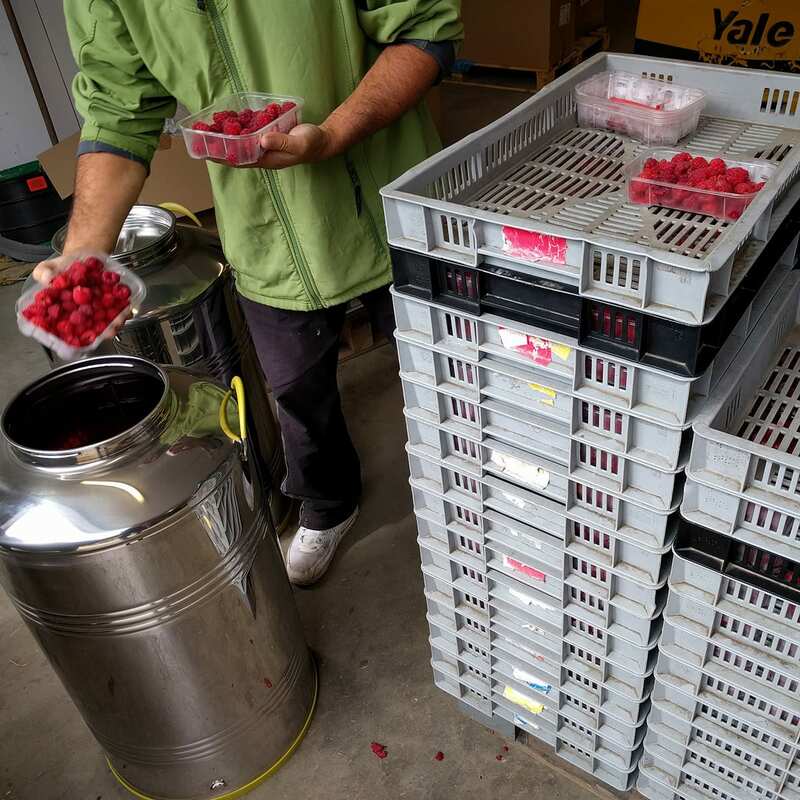 But what I can do is demonstrate with actions that great surplus produce can have a life beyond landfill, and get people to think about the effect of how we shop. At the moment, sustainability is not something people look for in premium products, but I’d like to be part of a shift in consumer perceptions. GG: You are a newcomer to gin production. 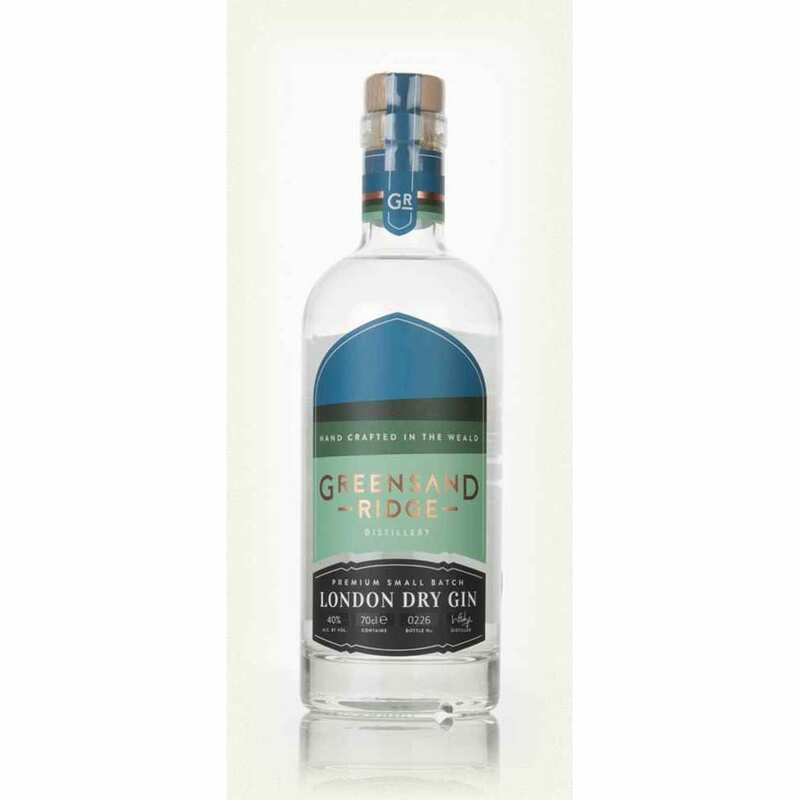 What are your ambitions for Greensand Ridge gin? Will Edge: My spirits aren’t conceived in a boardroom and aren’t carried by esoteric botanicals and flavours – they are simply an honest reflection of where we are and the produce around us, reflecting our provenance/terroir directly. So, as well as the fruit brandies and rums we make, we will release barrel-aged gins and other gin expressions which capture a different aspect of our surroundings, much like the Salt Marsh Gin we developed for That Boutique-y Gin Company, which reflects a specific microclimate. GG: How important to your business are distillery experience visits? Will Edge: Vital. I didn’t launch the distillery with venture capital – quite the opposite. So having customers come to spend time at the distillery serves the joint goals of building our brand and financing the continued development of the distillery. GG: You have a marketing and finance background, how has that helped you in building up the market for your gins? Are you planning to export? Will Edge: Also computer science, and all those disciplines have been essential for building a business and keeping costs down in the short term. We are exporting reactively, but we are going to spend 2018 consolidating our UK presence before turning our attention overseas. GG: Your London Dry Gin has already won several awards – how important have these been to the business? Will Edge: I see awards as a vital ‘tick in the box’. Particularly when potential customers haven’t had any direct dealings; if the product looks good, the brand is professionally presented, the story is engaging, then are the spirits any good? Awards will help to make that buying decision.